Palm Coast, Florida area expert and real estate blog. I write about real estate-- amazing homes, market trends and cities. CoreLogic predicts that home prices will appreciate by another 5% by this time next year. 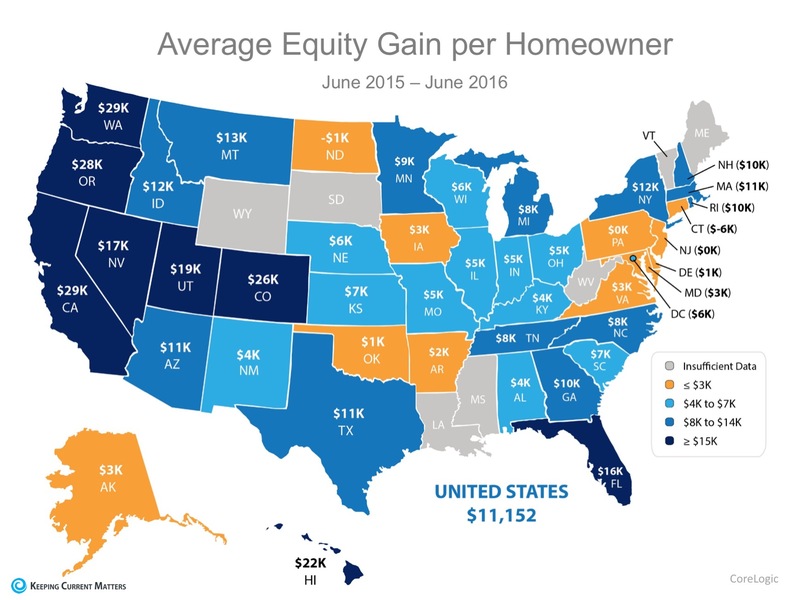 If you are a homeowner looking to take advantage of your home equity by moving up to your dream home, contact David Pilvinsky to discuss your options! One of the reasons that I chose to live in Palm Coast, Florida twelve years ago, was the fact that there has not been a direct hit by a Hurricane and over 60 years, if ever. The unique shape of Florida and the proximity of the Gulfstream Current off of Florida's east coast, play a large part in detering Hurricanes from landing in this area of North Florida. 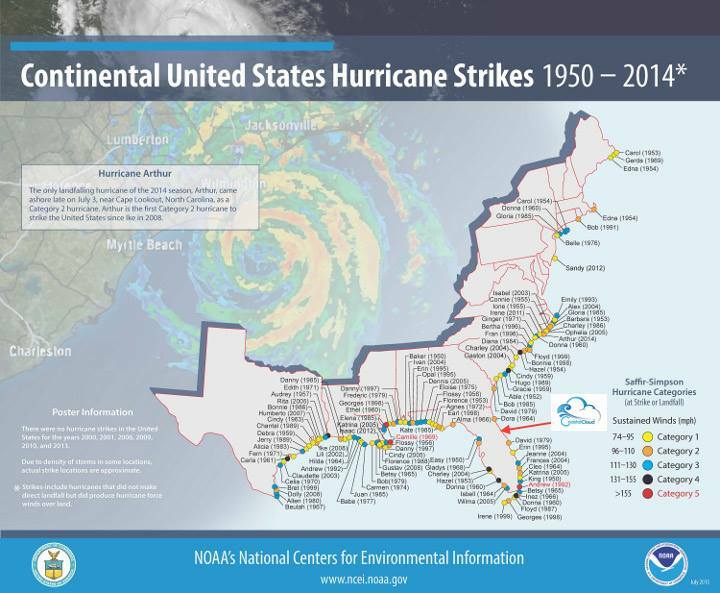 If you look at tracks of Hurricanes that have hit the U.S. over the last 60 years, (demonstrated by the graphic below), you will see that most storms that hit Florida, make landfall in South Florida. Take Miami, Ft. Lauderdale and the Palm Beaches for example, the Gulfstream current is very close to land, in Miami its only about 5 miles. Storms that come across from Africa generally pick up steam once they hit the warm tropical waters for the Caribbean. If they do not end up hitting South Florida, they often times, will head North along the east coast of Florida, riding the Gulfstream Current and its warm waters. Being that Palm Coast and the surrounding areas are about 60 miles from the Gulfstream, usually those storms continuing riding that warm water and either head out to sea, or may hit the Carolina's or even farther north. We live in a magical place in Florida and this is only a theory of mine, but so far I have evidenced this theory come to fruition. Palm Coast, Florida is one of the safest cities in Florida not only when it comes to storms, but also crime. Snake Season is here!! Watch where you step! Among the mixed blessings of the warmer weather – higher electric bills, the departure of the snowbirds – add the opening of snake bite season. 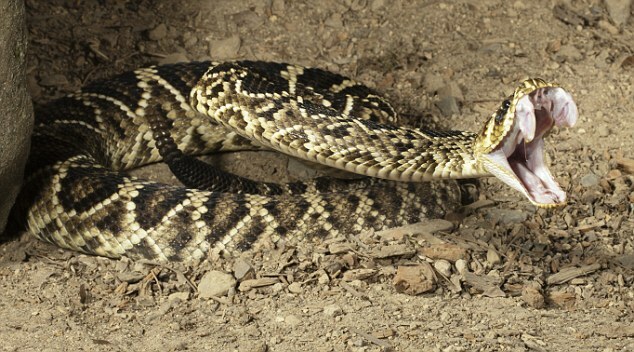 From April to October, rattlesnakes, water moccasins and other venomous snakes become more active, making this the peak season for snake bites. But don't blame the snakes. Human error – or stupidity, foolhardiness or drunkenness – plays a role in the majority of bites, officials say. "Kids pick them up and bring them home to mom," said Lt. Scott Mullin, of the Miami-Dade Fire Rescue Venom Response Team. "I've had two moms get bit in that scenario. People goofing around and picking it up instead of leaving it alone. Or they know what it is and try to kill it and get bitten. They try to kill it with a shovel or machete. Rarely do we have an accidental bite." 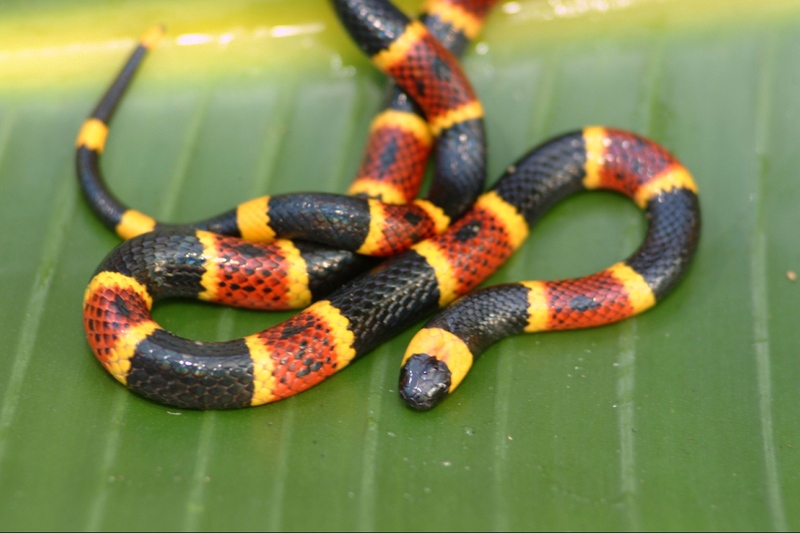 One 6-year-old boy in Kendall picked up a coral snake and carried it around for three hours without getting bitten, until he finally truly tried the snake's patience. "The only reason it bit him was he got bored and starting playing with it like a toy," Mullin said. "Throwing it back and forth with a friend." Another case, for which the phrase human "error" may seem too polite, involved an 18-year-old man near Tampa who caught a water moccasin. He kept the four-foot snake in a pillowcase under his bed and expressed his fondness for it with repeated kisses, according to WESH-TV in Tampa. Tired of his attentions, the snake finally "kissed" back, biting him on the face. He was hospitalized, and the state wildlife commission opened an investigation, since he didn't have a permit for the snake. Wendy Blair Stephan, health education coordinator for the Florida Poison Control Center – Miami, said Florida's venomous snakes are not particularly aggressive. "Many of the snakebite cases we see at the poison control center involve someone bitten when they grabbed, attacked or startled the snake," she said. "One of our poison specialists noted in his experience, 'When the bite is on the hand, alcohol is involved, and when it's on the lower leg, the person stepped on the snake.'" Just four of Florida's 47 species of snake are venomous, the water moccasin (also known as the cottonmouth), coral snake, pygmy rattlesnake and eastern diamondback rattlesnake. Although the eastern diamondback rattlesnake may have the most deadly venom, the one responsible for the most bites in Florida is the water moccasin, a reddish brown or black snake that typically grows to two to four feet, which can be found in suburban canals and lakes. 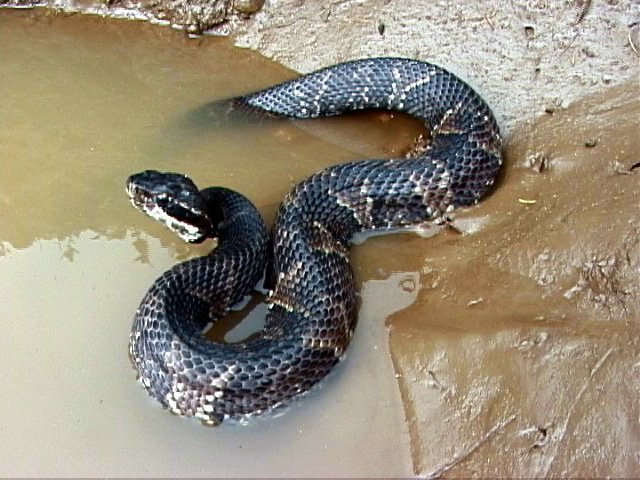 Hotspots for water moccasin bites tend to be in neighborhoods along the fringes of the Everglades, such as the Krome Avenue area in Miami-Dade County, Miramar and Pembroke Pines in Broward County and Loxahatchee in Palm Beach County. Since 2013, there have been 42 bites from Florida's native venomous snakes in Broward, Miami-Dade and Palm Beach counties, according to the poison center. Of these, 21 involved water moccasins, followed by 11 from coral snakes, five unknown, three from pygmy rattlesnakes and two by eastern diamondback rattlesnakes. pet-friendly florid beachTucked between Daytona Beach and St. Augustine, Palm Coast and Flagler Beaches destination is known for pristine beaches, fabulous weather and tasty seafood. But it’s also—and possibly more famously—known for being one of the most pet-friendly beach destinations in the state and even the country. USA Today ranked Flagler Beach as one of the best places to take your pets when planning a beach vacation. But where can you take your pets? And what are the best things to do during your “dog-cation”? Here’s a guide to some of the best things to do with your pets in Palm Coast and Flagler Beaches. 1. Hit the beach. The town of Flagler Beach has a very family-friendly beach policy, allowing furry friends to roam most of the beach in the area north of Gamble Rogers State Recreational Area. Leashed dogs can play in the sand and hit the waves along with their owners. Dog owners are advised to keep their dogs on a leash no more than five feet long. Pet-friendly beaches are located north of N. 10th Street and south of S. 10th Street. 2. Roam freely at Wadsworth Park. Located just off Highway 100 near the Matanzas River, Wadsworth Park is Flagler Beach’s most popular dog park. The fenced-in park is more than 60,000 square feet for your dogs to roam freely and unleashed. The park overlooks a pond and has several wooden benches for owners to relax and sit in the shade. There are two separate off-leash destinations for smaller and larger dogs. There’s no need to bring your own water for your furry friend; the park provides many water bowls. 3. Take your pup out on the water. Due to calm waters in the Palm Coast and Flagler Beach area, kayaking and paddleboarding are ideal watersports to do with your dogs (really!). When visiting the area, dog owners will be delighted to find many kayak and paddleboard rental venues allow your pets to accompany you on the trip. Both you and your pets will catch glimpses of Florida’s wildlife like egrets, manatees, and turtles along the route. 4. Dine with an oceanview. Palm Coast and the Flagler Beach area prides itself for having countless of dog-friendly restaurants and cafes. Flagler Beach Winery remains a popular joint for dog owners to bring their pets to enjoy the scenic beachside landscape and sip on local wine with the company of their canines. Other dog-friendly oceanfront restaurants include Fuego Del Mar, Johnny D’s, and High Tides at Snack Jack. However, for a laid back day of sipping coffee, enjoying breakfast, and reading, head over to Java Joint or The Beach House Beanery with your pet. 6. Bed and board with your pets. The area has a variety of accommodations that welcome you and your pets. Several beachside properties and vacation rental homes that are dog-friendly include Si Como No Inn, Flagler Beach Motel and Vacation Rentals, Tropical Bird and Bee, and Vacation Rental Pros. Dog owners can opt to camp beachside with their canines at Flagler by the Sea Campground, Beverly Beach RV Camptown Resort, or Gamble Rogers State Recreational Area. There, both man and his best friend can camp out under the stars. Flagler County Fair and Youth Show starts today through Sunday! Today only their is Zero entry fee! Here is the full schedule for the festivities this week. Published: Wednesday, April 6, 2016 at 5:30 a.m.
Last Modified: Tuesday, April 5, 2016 at 10:03 a.m.
BUNNELL — The Flagler County Fair & Youth Show kicks off today and runs through Sunday at the Flagler County Fairgrounds, 150 Sawgrass Road, Bunnell. The annual event features midway rides, food and music. 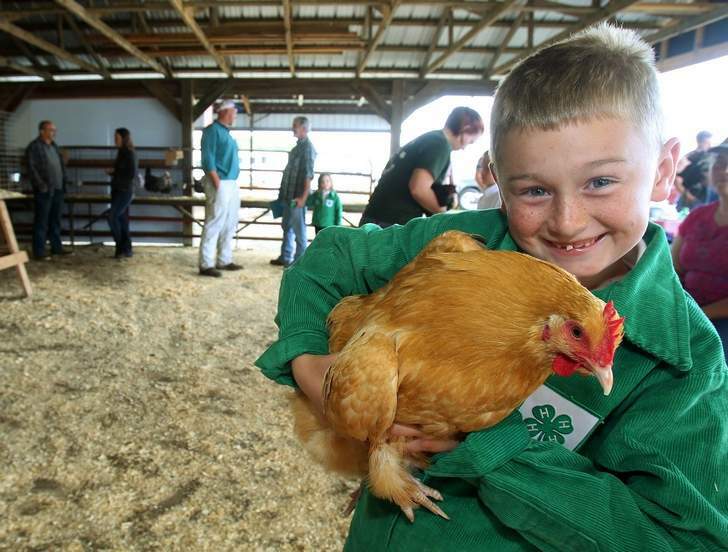 In addition, livestock shows and sales take place during the fair. In the Cattleman's Hall at the Fairgrounds, 4H and FFA exhibits will be on display featuring canning, backing, quilting, sewing, and arts and crafts vendors. The hall is open until 10 every night of the fair. April 22nd is the 20th annual Spring Classic inshore fishing tournament! Over $8,000 in prize money will be paid out! Come out and fish your tail off and win some money! Whats better than getting paid to fish?! Flagler County and Palm Coast Florida have some of the best inshore fishing for redfish, trout and flounder in the state! 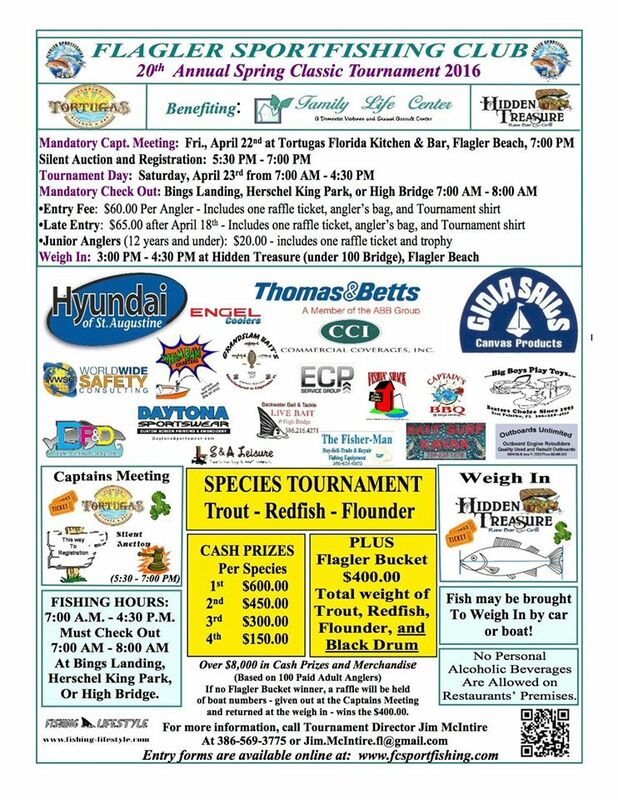 See if you can bag the most weight of total fish to win the Flagler Bucket challenge and win $400.00 cash! Fla. foreclosure inventory through October drops 40.5% from one year ago. Idaho ranked second with a 27.6% drop. Flagler County mirrors the state trend. PALM COAST, FL – December 9, 2015 – Florida continues to outpace rival states in the reduction of foreclosure inventory. Florida’s foreclosure inventory through October dropped 40.5% from one year ago. Idaho ranked second with a 27.6% drop. This, according to CoreLogic’s October National Foreclosure Report. Flagler County mirrors the state trend (see below). Florida and Hawaii are tied for third place when measuring foreclosure inventory. In both states, the percentage of homes in foreclosure as a percentage of mortgaged homes is 2.5%. New Jersey leads all states with 4.5% and New York is in second with 3.6%. Washington DC ranks fifth at 2.3%. DC is the only non-judicial foreclosure jurisdiction to make the top five list. Florida led the list of states in the number of completed foreclosures. A completed foreclosure is the final step in the foreclosure process where the home is auctioned. At that point, either the bank takes the property into its Real Estate Owned (REO) inventory or a successful third party bidder takes title. Florida had 86,000 completed foreclosures during the past 12 months. Michigan was second with 59,000, followed by Texas (30,000), Georgia (25,000) and California (24,000). Together, the top five states account for nearly half of all completed foreclosures. Flagler County had 511 foreclosure completions during the same 12-months (through October). Flagler’s lowest level was 15 completions in October. 30 new foreclosure filings. The average monthly new foreclosures was 30.75 over the past 12 months. 554 Open foreclosure cases (down from 568 last month and from 990 one year ago). One of the most affordable places in Florida and in the U.S.; with so few listings and so many Realtors® we could staff an Open House at every listing six days a week. PALM COAST, FL – November 11, 2015 – There are currently 855 single-family residential Flagler County homes listed for sale via the Flagler County Real Estate Association’s Multiple Listing Service (MLS). That’s the lowest inventory level in two years. But the number of agents has grown during that period. It’s now hovering around 1,100. Look at it this way. We have more than enough agents to staff an Open House at every listing six days per week. Of course that would take a lot of scheduling and it’s not likely to happen, but it highlights an obvious imbalance. I know agents or agent teams that are carrying more than 20 home listings, implying that many agents have none. A recently released Coldwell Banker Home Listing Report compares the average listing price of 81,000 similar-sized four-bedroom, two-bathroom homes in 2,722 different markets across all 50 states. Newport Beach led the list as most the expensive U.S. market with an average listing price of $2,291,764. (Only one Flagler County home sold for more than $2,000,000 in the past 12 months.) Cleveland, Ohio, brought up the bottom, ranking 2,722th with an average listing price of only $74,502 (not including a snow-blower). Palm Coast ranked 2,092nd with an average listing price of $196,653. Doral led Florida with an average list price of $552,399. Hastings was at the bottom with an average list price of $95,267. Palm Coast ranked 90th of 127 markets analyzed within Florida. SERIOUSLY, it costs more to buy the subject home in 76.8% of the markets studied across the country than it does to buy the same home in Palm Coast. And 70.1% of the Florida markets included in the study are more expensive than Palm Coast. Perhaps Palm Coast’s general beauty, access to uncrowded beachs, sunshine, trail system, championship golf courses, sports venues, excellent schools, Interstate access, job growth and population growth are a turnoff to prospective buyers. Or maybe we just need more real estate agents. 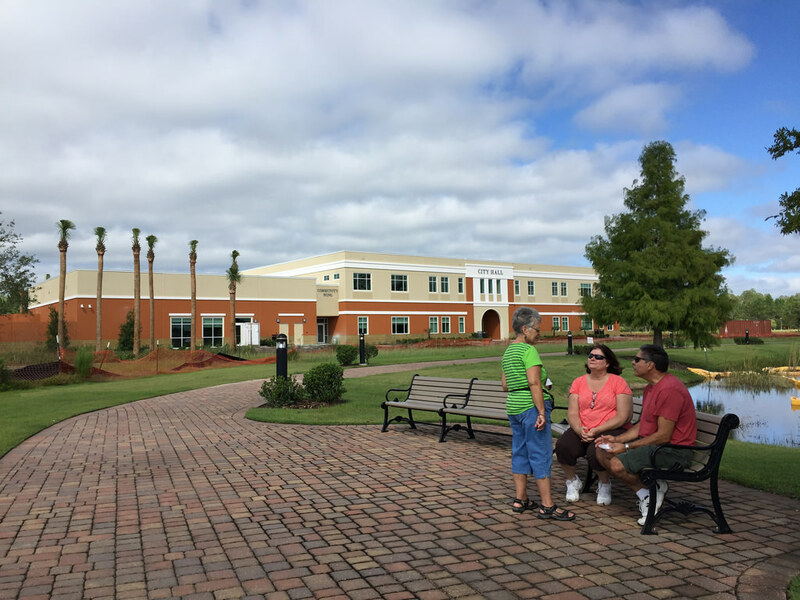 PALM COAST, FL – November 9, 2015 – As reported in the Orlando Business Journal, a 24/7 Wall St. study ranked Palm Coast among the 50 Best Cities to Live.Palm Coast ranked #39. Sheriff’s office, Publix, Palm Coast City Hall, Island Walk, Player’s Racquet Club, RaceTrac, Tuscan Gardens senior living. November 2nd marked the ribbon cutting for two major public venues, the new Palm Coast City Hall and a New Flagler County Sheriff’s Operations Center. Tuesday A.M., Governor Rick Scott was in town for the official opening of the new sheriff’s operations center. The large crowd had to contend with near record heat and bright sunshine, but the event went on in spite of the beautiful weather. The new office is located at 901 Moody E. Blvd in Bunnell. The building was once Florida Memorial Hospital-Flagler. The building had remained vacant since the new Florida Hospital Flagler was opened in Town Center. The county purchased the old building for $1.23M in 2013 and undertook a $4.2M renovation. At 5:15, on Tuesday, Palm Coast city officials participated in a ribbon cutting officially opening the brand new Palm Coast City Hall in Town Center. This 43,000+ square foot building came in “on time and under budget” according to City Manager Jim Landon. The public was invited to participate in guided tours, beginning at 4:00 P.M. and continuing after the ribbon cutting until 8:00 P.M. I was in the first tour group. I was impressed with the quality of construction and the efficient use of space. The building is warm and inviting without the opulence often attributed to the county government complex. 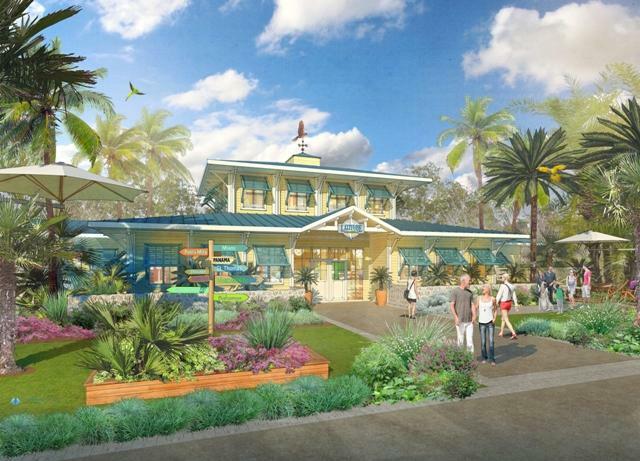 The design will accommodate the future expansion that will surely be needed as Palm Coast continues to grow. Remember, there are still over 10,000 vacant in-fill lots within the city’s master plan. Publix: Get used to calling the old Palm Harbor Shopping Center “Island Walk.” The first major opening in the redeveloped project was the new Publix, which opened on October 29th. About 50 shoppers were lined up when the doors swung open at 7 A.M. I was one of them. The new store is 10,000 square feet larger than the old one. 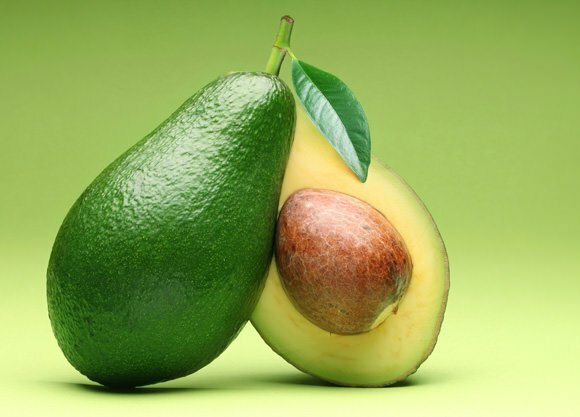 The additional space is apparent throughout the store with its huge produce department, expanded seafood, meat and dairy offerings, plus a pharmacy. Pizza lovers will appreciate the expanded freezer section. New permits: A site development permit was issued that will allow work to begin on future stages of Island Walk’s redevelopment. The former Publix store will be gutted and re-faced for a Hobby Lobby. Upon completion, Island Walk will be comprised of 207,229 square feet. For weeks, the site of the former Palm Coast Player’s Racquet Club has sported a “Sale Pending” sign. The property was under contract to local real estate developer Jim Cullis, but Jim has informed GoToby.com that he decided not to proceed with any project at that site and has terminated the purchase contract. But on another front, Cullis has revived his plan for a senior living campus on 17 acres of property he owns on the Southeast corner of Colbert Lane and Blare Drive. 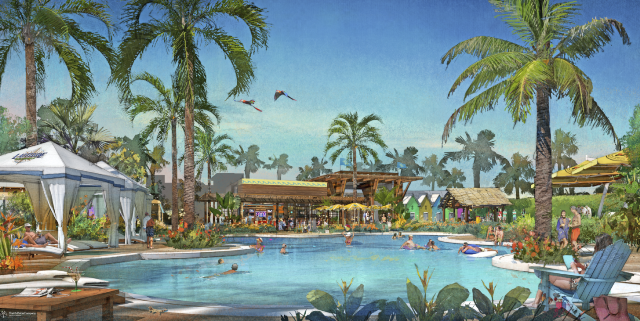 Previous plans for a senior living project on the site with Discovery Village died when Cullis and Discovery could not garner support for the proposed site plan from Palm Coast’s planning staff. This time around, Cullis is advancing a similar project with an Orlando-based developer. Tuscan Gardens Senior Living’s proposed site plan includes three building and reportedly avoids the minor wetlands issues that bogged down the Discovery proposal. Tuscan Gardens, as proposed, will have 210 residential units offering three levels of senior care; independent living, assisted living and memory care. Laurence Pino, Tuscan’s CEO, told an audience of Grand Haven residents that he plans to begin work as soon as permits are obtained and hopes to be open by early 2017. The parcels have been acquired and site development work has begun on a new RaceTrac gas station and convenience store at the Southwest corner of SR 100 and Seminole Woods Blvd. In a city-by-city comparison, Orlando leads the nation in both a month-to-month and year-to-year comparison, and only one non-Florida city makes the top five list for either time frame. Add a CommentMCLEAN, Va. – September 28, 2015 – Freddie Mac's latest Multi-Indicator Market Index (MiMi) finds that the Florida real estate market's rebound leads the nation. In a city-by-city comparison, Orlando leads the nation in both a month-to-month and year-to-year comparison, and only one non-Florida city makes the top five list for either timeframe. 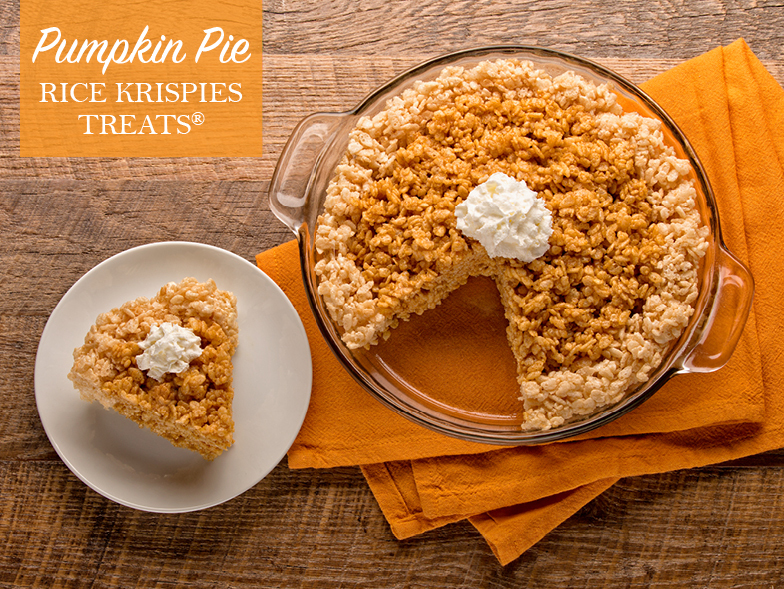 © 2015 Florida Realtors® All rights reserved. Reprinted with permission. Hosting a public meeting on February 15 to present the conceptual plan for a public park on Bay Drive in the Hammock (north of Sea Colony) that is decades in the making. PALM COAST, FL – February 14, 2017 – Flagler County is hosting a public meeting on February 15 to present the conceptual plan for a public park on Bay Drive in the Hammock that is decades in the making. The park will be built with a $2.342 million grant on the combined acreage purchased by Flagler County in 2009 and adjacent to the nearly 3 acres of dedicated public park property it has owned since 1985. Historically, beach access in this area was known as Deauville Beach or Main Street Beach. The road itself, Main Street, was referred to by locals as the “Double Brick Road” because it had been stabilized with brick to provide residents and visitors public beach access with some assurance they would not get stuck en route. The County Commission required the developer in 1985 to relocate the previously used beach access road to Bay Drive, and to provide a park on the beach to mitigate for the loss of Deauville Beach. Several boards of the Flagler County Board of County Commissioners vote repeatedly since the park property was first dedicated to the residents of Flagler County to maintain public beach access in this location. Bay Drive Park in the early 2000s was made part of the A1A Scenic Byway Corridor Management Plan, the Florida Scenic Highway Designation Application and the Guide to A1A Old Florida Coastal Byway. The additional 13-acre property purchased in 2009 been zoned within the “Mixed Use: Low Intensity, Low/Medium Density” designation for future land use within the Comprehensive Plan. Flagler County applied for a grant in February 2011 to develop the park, which was still called Bay Drive Park. The state awarded a $2.342 million grant to the county, because of the property’s unique character and to preserve public beach access. As a condition of receiving this grant, the county is required to construct a number of amenities, including: reasonable access for the observation and appreciation of the natural resources; a functional nature trail; a dune crossover; outdoor recreation, or open space; interpretive kiosks; parking; bathroom; safe pedestrian sidewalk between the park and State Road A1A; and, stormwater facilities that both treat the stormwater and provide wildlife habitat. The meeting will be held at 6 p.m. February 15 at the Hammock Community Center, 79 MalaCompra Road. It is an open-house format, with a briefing from the County’s park engineer followed by a short question and answer session. This is not a public hearing. 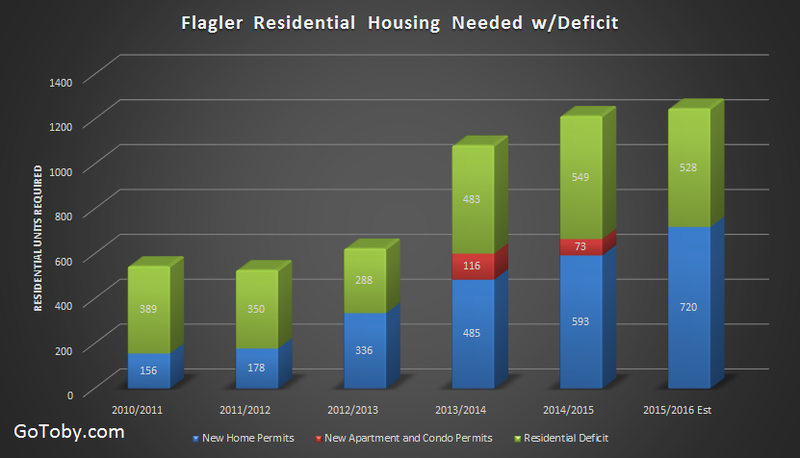 New home construction has not been enough to absorb Flagler’s growing population, but unoccupied distressed homes covered the construction deficit. Now that secondary source is quickly disappearing. PALM COAST, FL – June 2, 2016 – I was quoted in a June 2011 article <story> in the Washington Post saying, “Flagler County is the poster child for what went right and what wrong in the economy.” Flagler was the housing bubble on steroids. For two years running, Flagler County and Palm Coast respectively were the fastest growing county and city in the U.S.
Flagler’s housing bubble led the rest of the nation with prices rising sooner, rising higher (in percentage terms), peaking sooner, falling more precipitously, and bottoming at a lower level. The median selling price for a single-family home fell more than 60%. But Flagler’s housing market did not lead the nation’s recovery. Recovery has been slow. Home sales began to rise again in 2008, but prices continued a downward slide until 2012 before turning upward again. While other regions have rebounded to pre-recession highs, Flagler County median home prices remain roughly 20% below the 2005 peak of $259,950. 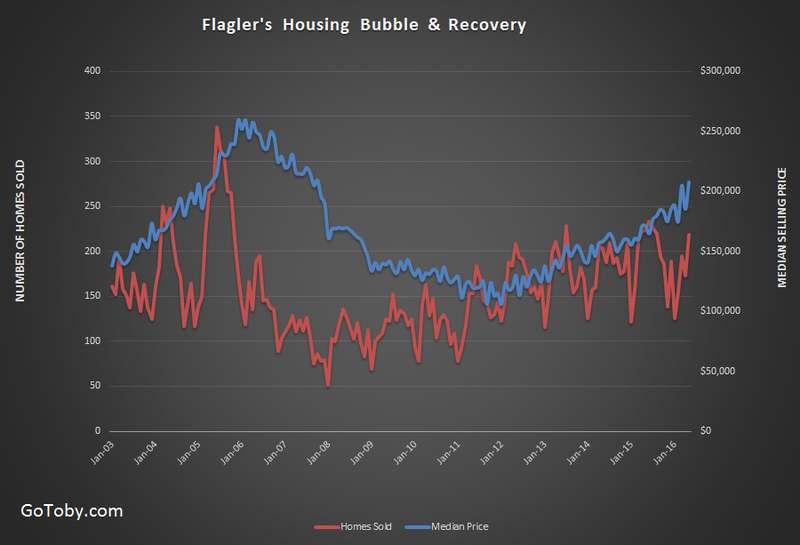 Flagler’s housing bubble was driven primarily by investors and speculators, not by an underlying demand for housing. The investors/speculators did not plan to occupy the home. They simply planned to turn around and sell the property at a profit to the next person in line. When the bubble burst, Flagler was terribly overbuilt. Spec homes dotted the landscape. This bloated inventory of unoccupied homes and condos became the source for the short sales and foreclosures of the next several years. From 2009 through 2011, distressed home sales accounted for more than 50% of all home sales in the county. Flagler’s population has continued to grow, expanding by 10% between 2010 and July 2015. And the population growth rate is accelerating. A recently released U.S. Census Bureau report estimates the county added 2,831 new residents between July 2014 and July 2015, a 2.76% gain. That was enough to place Flagler 64th on a national list of fastest growing counties with populations over 100,000. Where are all these new arrivals living, since not enough new homes have been built? Assuming continued growth, where will future arrivals settle? When one family moves out and another moves in, there is no increase in population, therefore no additional residential units are required. New additions to the population have to find an unoccupied home; and at a rate of one home for each 2.33 net additional residents. The inventory of unoccupied homes consists of new construction, foreclosures and vacant short sale units. The following graph illustrates a new construction deficit over the most recent six years. Data for the year ending July 2016 is estimated. The deficit shown in the chart did not translate into rapid price increases because there was a continuing supply of unoccupied distressed properties to take up the slack. Home sales were brisk, but median prices in the Flagler market rose more gradually than in many other regions. 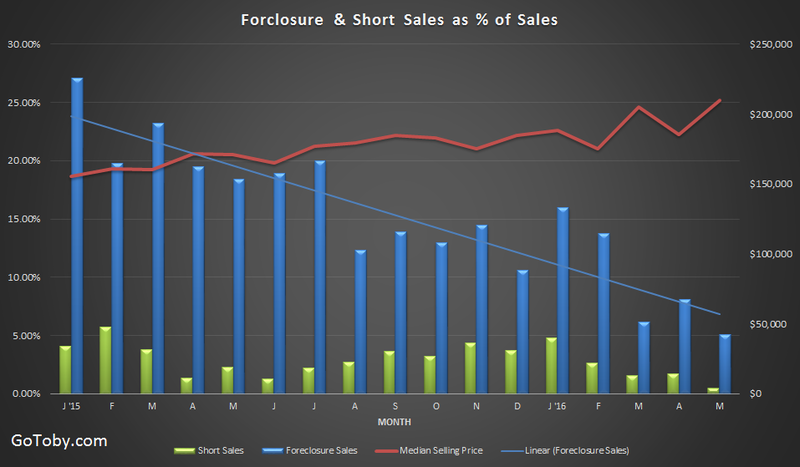 Short sales have been in decline for many months, becoming an irrelevant sector several months ago, but Florida’s judicial foreclosure system continued to feed additional properties into the unoccupied foreclosure inventory; until recently. The graph shows the dramatic change in product mix since January 2015, when distressed sales accounted for 31.2% of all home sales. The well is nearly dry. 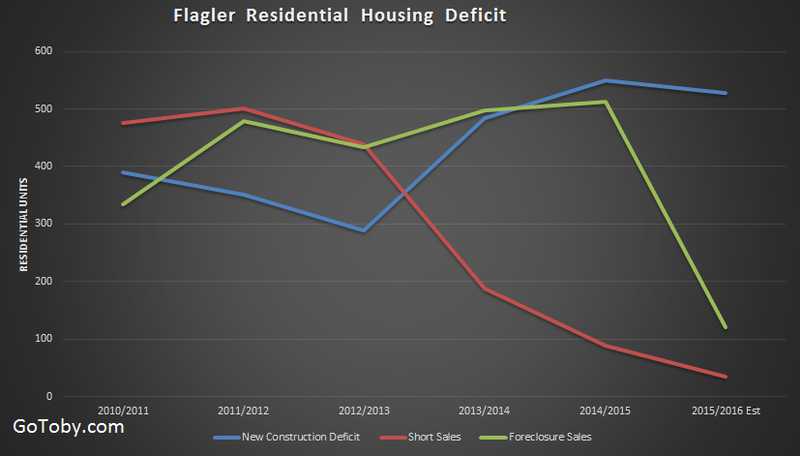 There will be an insignificant level of distressed inventory going forward, leaving new construction as the only option for Flagler’s growing population. If new construction can keep up the pace, price increases will be more moderate. To the extent that an inventory deficit remains, the excess of population-driven demand over supply will accelerate price increases. Local builders complain about the shortage of skilled and unskilled construction workers, even at the current rate of construction. There is no short-term fix to the labor problem. Labor shortages will continue to exacerbate the construction deficit in the near future, accelerating the pace of rising prices. As home prices rise, so too will rentals. The dramatic drop in distressed home sales and the concomitant increase in traditional sales is sustainable. In May, distressed sales accounted for only 5.5% of all home sales and only 4.0% of total sales value. But what about the pipeline. 769 single-family Flagler County homes are currently listed for sale through Flagler MLS. Only six are short sales and ten are foreclosures, totaling only 2% of total listings. There has been some concern that home sales have dropped off somewhat from one year ago. The concern is not surprising. We have gotten used to monthly year-over-year gains in home sales, but in five of the past seven months, home sales have dropped year over year. Through May, total home sales in 2016 are off 7.0% (66 homes) from the same period one year ago. But distressed sales during the same periods dropped from 227 to 95 (58.1%). Disregarding distressed sales, traditional sales have increased over the first five months of 2016 by 9.3%. The dollar value of traditional sales increased a very healthy 15.7% over the same period. Palm Coast movie in the park! Palm Coasts movie in the park tonight sponsored by Flagler County Schools and the city of Palm Coast. Friday April 15th at 8:00 pm at the Towncenter Park! Free admission for all. 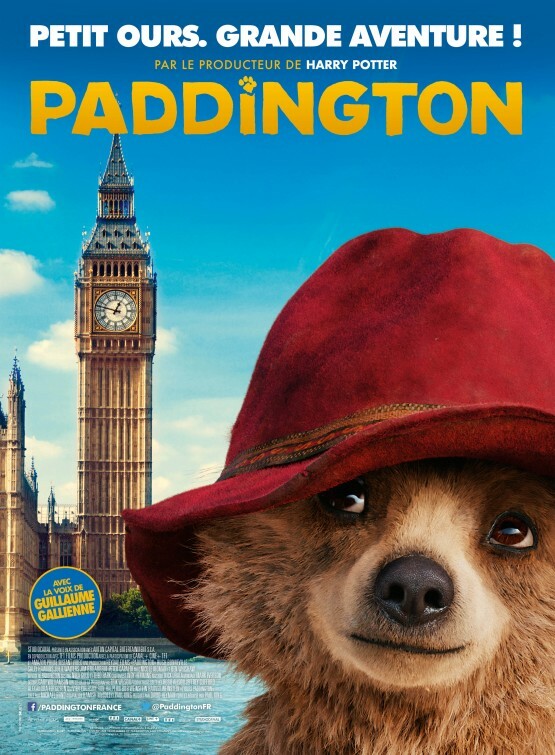 Bring the kiddoes down and get them out for a night of Paddington! Remember to bring bug spray, chairs, snack, maybe a blanket for your comfort during the movie. Huge groundbreaking in Palm Coast Florida! PALM COAST — Palm Coast Arts Foundation officials aren't modest about how they see a groundbreaking Thursday. “Come to the biggest groundbreaking event in Flagler County history!” urges the Foundation's flier, a call-out for residents to attend a ceremony to mark the beginning of a project that will level, grade, landscape and irrigate five acres in Town Center, then plant a roofed outdoor stage on them. Nancy Crouch, the foundation's executive director, said the $400,000 project has been years in the making and will kick off a much larger, multi-phased project that eventually could total more than $67 million. A rendering of the project shows a large, lush lolling area in Town Center, full of green grass and defined by borders of trees. The wedge-shaped space is helmed by the stage. "We hope to have the first phase completed by our signature event — (May's) Picnic and Pops with the Jacksonville Symphony," Crouch said. "It's a big, huge deal. We sell out every single chair and table we have and now we have a much bigger space to fill." That means crews have until April to finish the job. "It will be freshly sodded and it has to sit for a few weeks," Crouch said. "We're kind of on pins and needles, but we have a backup plan." She said the Picnic and Pops, for which 40 tables for 10 have already been claimed, will inaugurate the stage. Beau Falgout, administrative coordinator for the City of Palm Coast, said officials "are excited about the groundbreaking of the phased Palm Coast Arts Foundation project." He said the public-private partnership — the city leases 14 acres in Town Center to the foundation — is making the project a reality and could help Palm Coast grow. "This project, along with our existing art groups and cultural facilities, will not only provide art and cultural opportunities for our existing residents, but will help in attracting visitors and future residents to Palm Coast," he wrote in an email. Preparing a 5-acre outdoor venue site is phase one of a project to construct an arts foundation park, with progressively bigger construction projects. Installing and roofing the outdoor stage is phase two. Phase three is when things begin to get more ambitious. It's to feature a 19,000-square-foot events center with a full-sized catering kitchen, "hopefully for someone who wants to take up residency there," she said. The cost? About $7 million. Crouch has lots of confidence in the project. "We already have people in the area who want to rent space and it hasn't even been built yet," she said. Meanwhile, foundation members are seeking grants and planning private fundraisers. "We've got another grant pending with the state," she said. "We should hear about it soon." It depends on fundraising, but Crouch hopes to begin phase three in four years. Phase four could take up to 10 years, but the payoff is a $60-million performing arts center. Crouch said the master plan calls for 2,200 seats for the center, three stages and an area for art galleries. ORLANDO, Fla. – January 28, 2016 – According to the just-released 2015 Profile of Home Buyers and Sellers Florida Report, three out of four home sellers (74 percent) contacted only one real estate agent before agreeing to list their home for sale. In addition, 74 percent of Florida sellers said they recommended that agent at least once to family or friends after the deal closed. On the buyer side, two out of three (66 percent) interviewed only one real estate agent before agreeing to work with him or her. The complete 2015 Profile of Home Buyers and Sellers Florida Report can be downloaded through Florida Realtors website. Visit the "Other Research Reports" page under the "Research and Statistics" link. © 2016 Florida Realtors®. All Rights Reserved. Reprinted with permission.